A former Virginia governor may be on the verge of announcing for president. The name of the alligator was Jumper: eight feet long and 260 pounds. That was the opponent of a famous wrestling match in Broward County, Florida, back in 1980, when a 23-year-old Terry McAuliffe was working on the Jimmy Carter reelection campaign. McAuliffe held Jumper’s mouth shut for three minutes, securing a $15,000 campaign contribution from the Seminole Tribe for Carter and a bottle of whiskey for himself. 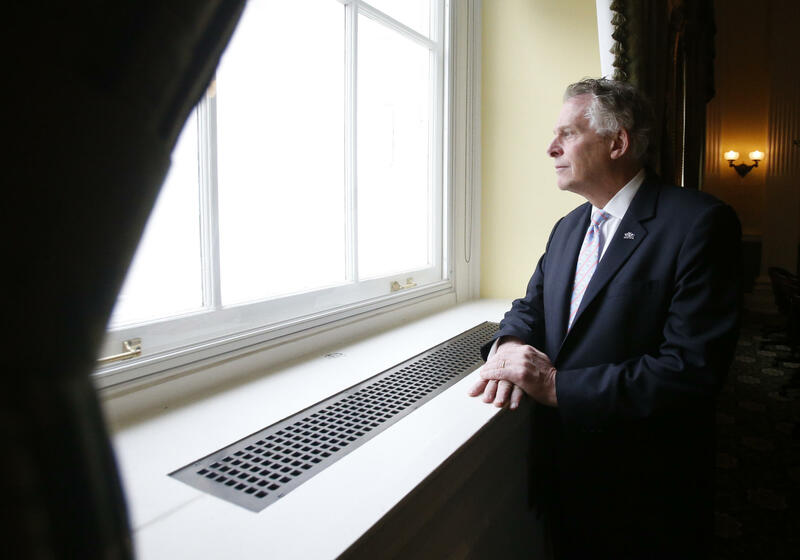 “This is one of McAuliffe’s favorite stump stories, and it’s pretty obvious why," says Rachel Bitecofer at Christopher Newport University. She says McAuliffe’s recent cryptic tweet about an alligator was a brilliant PR move. “The national media had no idea what his tweet meant. They saw a picture of a giant alligator and the word Trump on it and they started to share it amongst themselves,” says Bitecofer. Jeremy Mayer at George Mason University says McAuliffe is telegraphing a sense he’s got what it takes to take on Donald Trump. “It’s an interesting example of a politician flexing his machismo in direct opposition to Trump, who has this raw physicality and kind of a counter-puncher reputation,” he says. So far McAuliffe hasn’t announced. But the recent talk about alligator wrestling has created a new sense of buzz around the former Virginia governor.